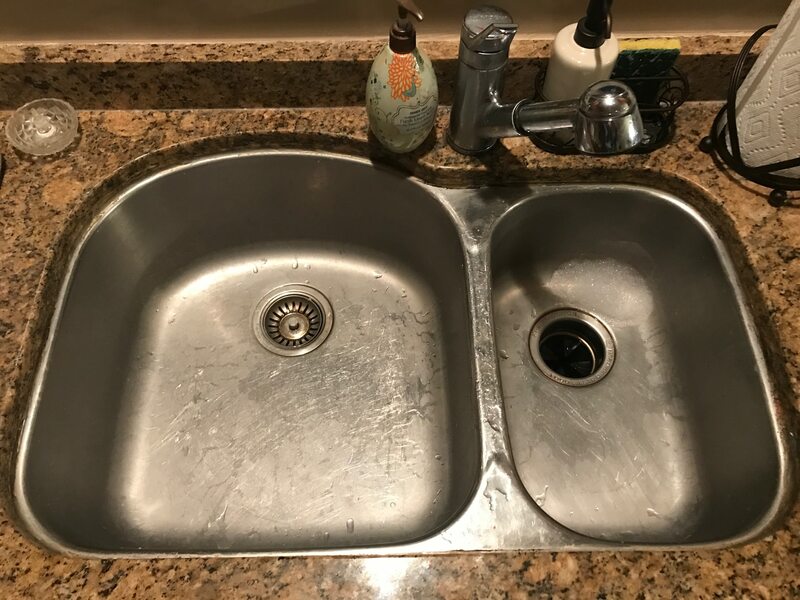 We're looking to replace our kitchen sink, and are leaning towards copper, but we're finding it almost impossible to find a copper sink (or much at all) that matches the current shape of our sink. We're considering cutting the granite to fit a traditional rectangle shape, but that would prevent the faucet from staying behind the sink, as there wouldn't be enough room. 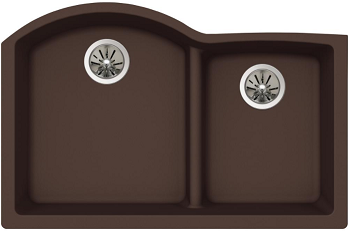 Anyone out there have any ideas on where to look for a replacement sink that fits the current shape? Hello Homefrrie and welcome to the Community. 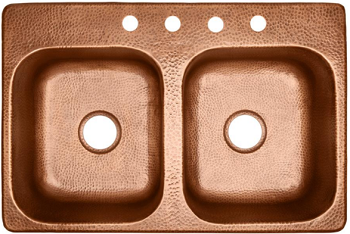 I also could not find a undermount copper sink with that shape. Cutting granite is very difficult and is usually done by professionals. It would probably require that the entire counter top be removed. If it is possible and you are willing to go to the trouble to have the countertop cut you would have several options. I found drop in copper sink. Premium Quartz Undermount Composite 33 in. I would suggest you visit a kitchen designer at your local Home Depot to discuss your options. Old kitchen sink. I like Moen. I think it really is dependable and can be trusted. Hey, do you have any other articles and advice? Have done plumbing for 15 years and really like it. hey, can you comment on vid and give advice on plumbing services and repairs? Old kitchen sink. I like Moen. I think it really is dependable and can be trusted. Hey, do you have any other articles and advice? Have done plumbing for 15 years and really like it. hey, can you comment on vid and give advice on <a rel="nofollow" href="https://www.youtube.com/watch?v=Z-ZgcNvSFGA" title="plumbers in nashville" target="_blank">plumbing services and repairs</a>?